Pandya's 16-ball 37-run blitz won the game for Mumbai Indians. The Royal Challengers Bangalore (RCB) had pulled back the game nicely on Monday at the Wankhede stadium against the Mumbai Indians (MI). Their spinners were doing extremely well and had choked the runs. But a certain Hardik Pandya came and smashed an unbeaten 37 off just 16 deliveries to take his team home. With 25 needing in the final two overs, the all-rounder took on Pawan Negi to finish the game in the penultimate over itself. However, before that, the MI bowlers led by Lasith Malinga had done a fabulous job to restrict RCB to an under-par total of 171 runs. 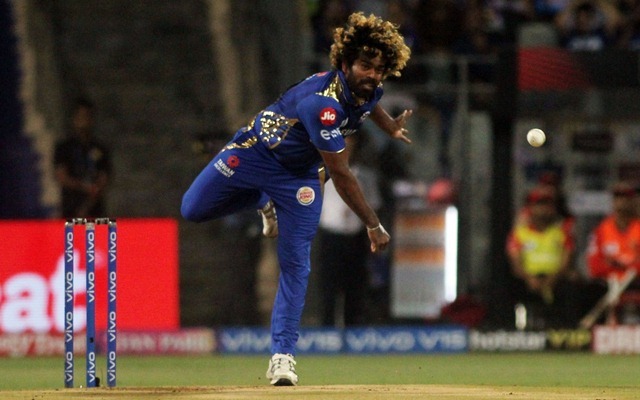 Malinga played a crucial role in it and returned with the figures of 4/31 in his four-over spell. His variations were tough for the batsmen to understand which was the reason RCB couldn’t add many in the last four overs. Lasith Malinga was also awarded the Man of the Match for his scintillating bowling in the death overs. But the veteran, after the victory, looked at the bigger picture. He was delighted that Hardik Pandya’s blitz won Mumbai the game but with the World Cup coming up, Malinga is well aware that Sri Lanka could suffer a similar fate during the tournament. He admitted having scared to bowl at Hardik during the World Cup while speaking to MI TV after the match. “How good for him (Hardik) and I am also very scared to bowl at him. If I play the World Cup against him, I will be really scared to bowl to him,” Malinga said. As far as the World Cup is concerned, India are scheduled to play Sri Lanka on July 6 at Headingley in Leeds. This will be the last league game for both the teams and the fates might have already settled by then for them.